Nvidia is aiming to sell Project Shield to gamers with two highly-regarded classics. Half-Life 2 and Portal are now available natively on the device. In a short promotional video, Nvidia announced the pair of games and says it worked with Valve to bring them to Shield. If you ve ever felt ashamed of games you ve picked up but never played, at least you can rest assured you aren t alone. A study into Steam playing habits has found that more than a third of all games purchased through the service have never been loaded up even once. What do you do when your platform already sells and launches video games? Make the platform itself a video game, naturally. Valve announced the beta launch of "Steam Trading Cards" today. The collectible meta-game lets you upgrade your Steam profile by playing games and collecting and trading their associated (virtual) cards. The trading card system earns you cards for playing supported games, along with collecting and trading. Once you earn enough, you can craft a game badge, which can be used to earn rewards like profile backgrounds, emoticons, and Steam coupons. This also adds a leveling mechanic to your badges, in which you can earn XP to earn rewards like extra friends list slots and profile showcases. Joining the Trading Cards group will put you in a queue to get into the beta, and Valve will be allowing people into it in waves. So far, the beta supports Counter-Strike: Global Offensive, Dota 2, Don't Starve, Half-Life 2, Portal 2, and Team Fortress 2. Valve promises it will expand to more games in the coming months. You can check out the FAQ for more details. It's been about six years since the Minerva mod for Half-Life 2 was released, but after some cajoling from co-workers at Valve, developer Adam Foster has given it a new coat of paint and is releasing it on Steam as a Director's Cut. "It's taken long enough, but via lots of nagging and prompting from fellow Valve employees I've finally got round to getting MINERVA, the Half-Life 2 mod which got me a job at Valve, up on to Steam," Foster said in an email to Shacknews. "It was originally released in late 2007 to pretty much universal acclaim, but now there's about to be a super-fancy Director's Cut edition with tweaked visuals, bug fixes, better puzzles and all kinds of subtle improvements. Nothing hugely new, just old stuff tidied and polished for this re-release." The mod, which is still free, tasks you with uncovering the mystery of an underground Combine facility while being fed information via text by a female character named Minerva. To play, you will need Half-Life 2: Episode One installed. You, the grizzled PC gamer in the corner, you remember diving around with akimbo pistols in that Half-Life mod in The Good Old Days, don't you? No, not Action Half-Life. No, you big silly, not The Opera. Gosh, no, not Matrix Half-Life. You know, The Specialists! Some of the folks behind that side-diving, slow-motion shooter are now working on a "spiritual successor" mod, Double Action, and want Kickstarter help to finish it faster. You can give an alpha version a go now, too. Like the Specialists, Double Action aims to recreate the jazzy action scenes of films like The Matrix and John Woo's bang-bang movies. Think dual pistols, slow-motion, and stunts, stunts, stunts! The Specialists programmer and designer Jorge Rodriguez is leading Double Action, with other folks from the mod working on it too. The Kickstarter campaign (via PC Gamer) is looking for $18,000 so they can take time off work to finish up the initial beta release this summer. Otherwise, it'll be at least 2014 before we can go diving all over the place. The team is currently making it as a free mod for Valve's Source SDK, which would let anyone who owns any Valve game from Half-Life 2 onwards play. But if funding goes well enough, they hope to buy a Source engine license and release Double Action through Steam as a proper free standalone, not to mention fiddle with the source for new features. Like most mods, the first beta will be quite limited, with only a few characters, weapons and maps, but the core gameplay of zipping about and shooting men intact. A mod team turning to Kickstarter is novel, and something I'd quite like to see more of. If this could magically happen about ten years ago, that'd be even better. A lot of modders turned pro, either landing industry jobs or trying to make commercial versions of their mods, and that unique Quake/Half-Life/Unreal Tournament mod scene feeling was lost somewhat. Mods going commercial didn't work out for many either, though some, like Natural Selection 2, have found success. To see how Double Action is coming along, you can download the latest alpha release from the forums. And hey, development is open so you can chip in too if you fancy. With the Oculus Rift getting people all hot and bothered about virtual reality once again, one canny modder has prepared for its launch by whipping up a VR mod for Half-Life 2 and its episodes. Able to track the player's head and any plastic weaponry they may be holding, the mod looks jolly impressive in a new video. If you have some VR kit of your own, you can download it right now and get playing. It's not as simple as adding tracking, oh no, as HL2 must be tweaked to better suit having the display fill your entire vision. The HUD is split into individual elements which fade in and out when relevant, and you can manually lower Gordon's gun so it's not always in your face. It also removes any head-jerking effects, like when shooting or hit by a shock baton, presumably because if your head snaps back in the game it also kicks back in real life and snaps your neck. Creator Nathan Andrews himself controls the gun with a Top Shot Elite, a plastic gun controller which came with the Cabela's Dangerous Hunts games, with a tracker taped on top. Firing is entirely independent from where Gordon's looking, as you can clearly see later in the demo video. You can also use control it any old regular way, though he recommends an Xbox 360 controller over mouse and keyboard "because analog movement is an absolute must for a good experience with head tracking." When the Oculus Rift APIs launch, Andrews will hook those into the mod. This isn't the only way to play Half-Life 2 with Oculus Rift, mind, as the open-source Vireio Perception also supports it and several other older games but lacks the fancy tailored touches. I have no interest in wearing a VR headset myself, but the tracking and independent aiming do convey a fine sense of physicality, even just watching someone else play. Now, if more games would show you an actual body when you look down, that'd be gravy. "Return to Ravenholm," aka "Half-Life 2: Episode 4," was a Half-Life 2 episode set in the spooky abandoned town. It's been canceled for a few years now, but we've gotten a better look at the game that could have been thanks to some new concept art and animation tests. It was in development at Dishonored developer Arkane Studios around 2006, but was ultimately scrapped. Valvetime revealed the new shots, with Rock Paper Shotgun's Craig Pearson confirming their authenticity. According to Valve's Marc Laidlaw, the project had been canceled because the defining qualities of Ravenholm (headcrabs and zombies) were feeling "played out," and the game's placement in the timeline of the other episodes was a "creative constraint." But if you're curious to see the small bits remaining of the project, check out the video below. The Black Mesa mod is a remarkable accomplishment, remaking Half-Life in the Source engine, and now a mapper building upon their work has remade another slice of Valve history. Black Mesa: Uplink remakes HL's classic Uplink demo, which curiously for a demo was a new slice based upon levels cut from the game during development. And now that's available in shiny Source-o-vision. Black Mesa: Uplink is out now on its ModDB page and here on Shacknews. To play, you'll need to own a modern Source game on Steam and have the Black Mesa mod installed. Mapper Michael 'Hezus' Jansen made Uplink over three months, building upon the assets and eight years of work from Black Mesa. Set roughly around Half-Life's Lambda Core chapter, Uplink sees Gordon Freeman on a mission to activate a radio antenna so people can escape, only an awful lot of soldiers, mutants, aliens, radiation leaks and jumping puzzles are in his way. "I've recreated something people played 13 years ago, that means it's intertwined with nostalgic feelings," Jansen said in the release announcement. "Have I recreated it according to their past experience? Have I changed too much? Have I changed too little? All I know is that I threw away all illusions that I could please everyone with this remake, right when I started the project. I made it as I saw fit and I hope the commentary tracks will shed some light on my choices." Grab your crowbars and spectacles, everyone. The Source engine fan remake of the original Half-Life is now available. It went live at 8:47 AM Mountain Time, which should sound awfully familiar to fans. The labor of love has taken eight years and has added a few notable tweaks to the classic, with at least one more revision on the way post-launch. The Source mod has added some new bits of dialogue, and plans to make revisions to the Xen portion of the game sometime in the future. It opted to remove that part completely from the initial release. Other than those changes, it will be a much prettier version of Half-Life. The excitement was enough to garner a spot in the first batch of Steam's Greenlight program, and chances are we have more than a few Half-Life enthusiasts in the Shacknews audience. You can grab the download from us (direct download), or you can also get it from the official site, of course. Also available is the full soundtrack for your listening pleasure. Download it from us. You thought the day would never come, and it still hasn't quite yet, but Black Mesa now has a release date. 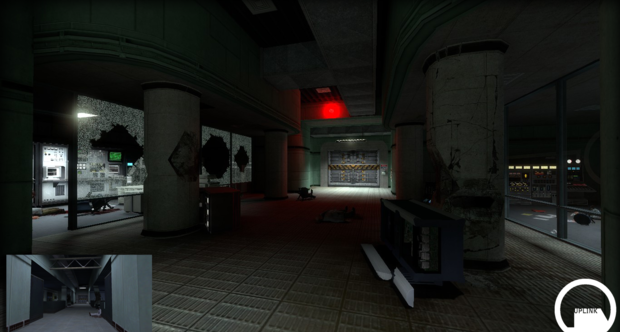 After eight years of development, the fan remake of Half-Life in the Source engine will be released on September 14. Except it won't be quite complete; the team is still working on expanding HL's reviled Xen section and plans to release it later. Come September 14, we should--in theory, if they really mean it this time--be able to return to the Black Mesa complex, project lead 'cman2k' announced on the mod's forum. The mod recreates Valve's classic FPS with all the polygons, shaders, particles, and gratuitous physics objects we expect from the Source Engine. It's not an exact remake, mind. The team is adding extra touches like new lines of dialogue, while Xen will be far from the unpleasant little ending section we all know and hate when it arrives. "Xen is going to basically be a complete game in its own right, it's not going to be just an epilogue to the game; more of a whole new chapter," lead developer 'Raminator' explained. "It'll be pretty well expanded." Work on Xen is already underway and the team hopes to finish it "in a reasonable timeframe," so hopefully we won't need to wait until the year 2020.
cman2k added, "We believe this is a great way to provide a complete-feeling 8-10 hour experience with a solid ending, make our fans happy and help us make the best overall game possible." The soundtrack is now available for your listening and purchasing pleasure. Check out this leaked video for a recent-ish look at Black Mesa's 'On a Rail' chapter, including its curious intentionally cheesy voice-acting.